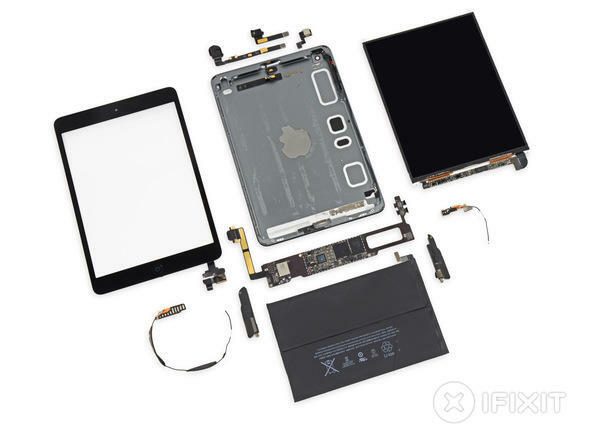 Apple’s iPad mini with Retina quietly launched on Tuesday, and while we were performing our typical unboxing, the folks at iFixit got much more surgical by peering behind its sharp new screen. 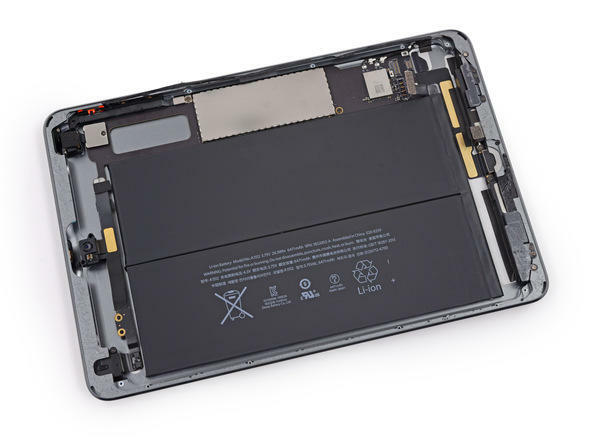 This year’s update introduces some big changes—Retina display and A7 guts—although Apple’s diminutive tablet looks identical to the previous model—that is to say, it’s still one of the best looking devices on the market. 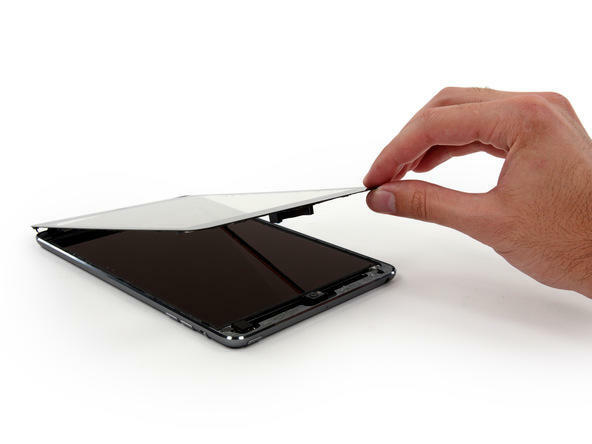 Unfortunately, it’s also one of the most difficult to repair thanks to a huge reliance on adhesives and hidden screws. Bummer. 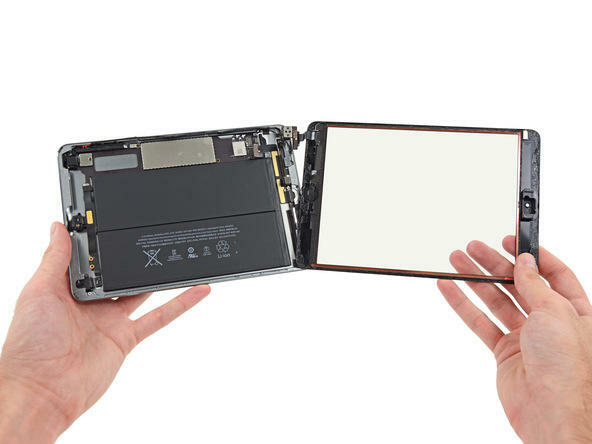 Luckily, the parts most likely needing replacing, such as the display and battery, are easily (relatively speaking) accessible, and can be replaced independently. 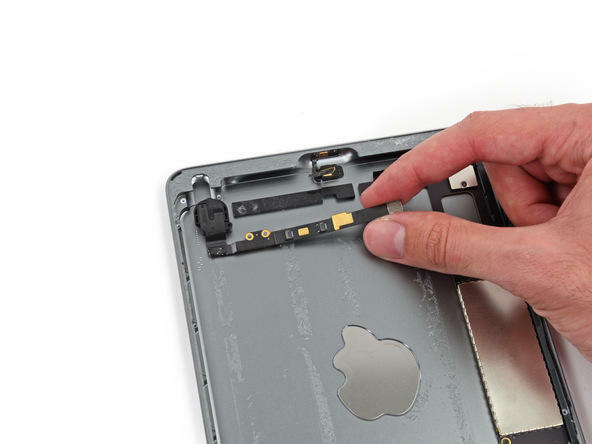 Other parts are not so easy to replace; the Lightning connector is soldered right to the logic board, meaning it’ll be next to impossible to get it free. 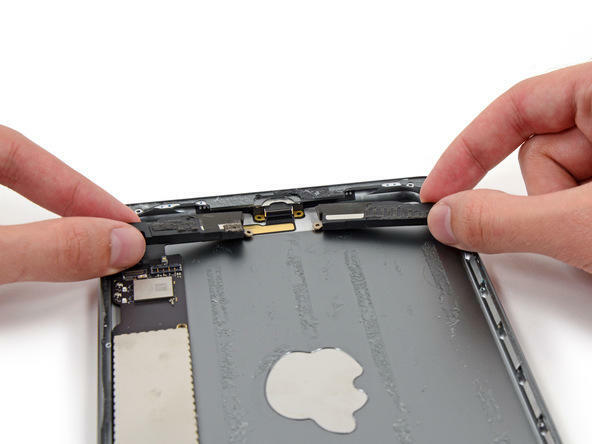 As mentioned, the iPad mini with Retina offers plenty of “gluey resistance,” which iFixit says greatly inhibits repair. “That is bad. 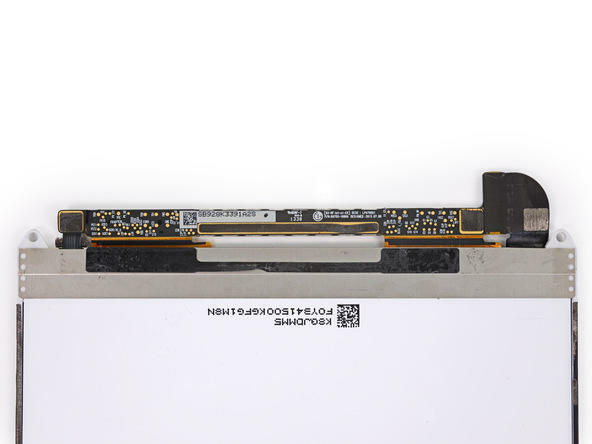 Really bad,” iFix it says. 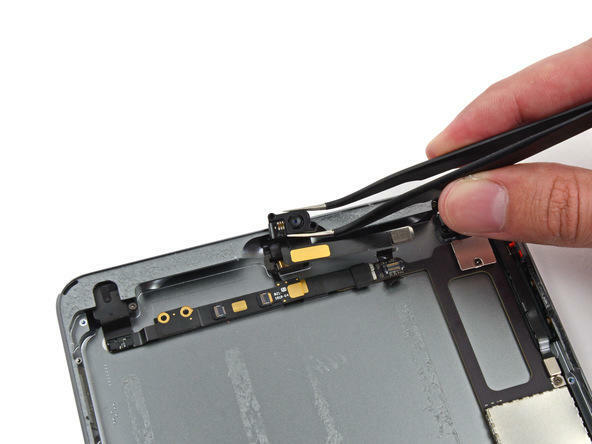 Unless you’re absolutely compelled to take gadgets apart and put them back together, it’s best to leave the iPad mini with Retina in one piece. Besides, that’s what warranties are for, right? 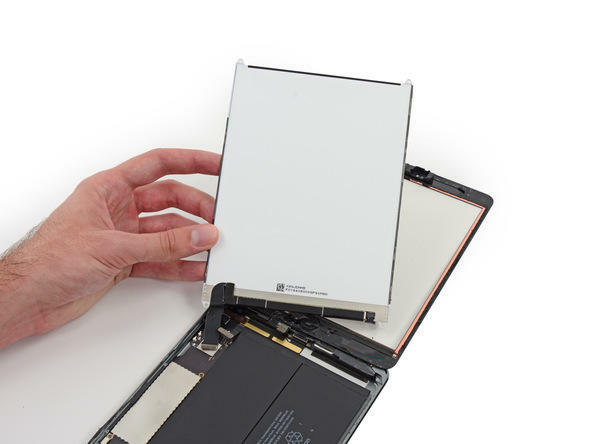 In the end, Apple’s new small tablet received a paltry 2 out of 10 (10 is easiest to repair), with only the LCD, front panel glass and battery easy to replace. The rest is best left to professionals.